The Russian government used "thousands" of internet trolls and bots to spread fake news, in addition to hacking into political campaigns leading up to the 2016 U.S. election, according to one lawmaker. Disinformation spread on social media was designed to raise doubts about the U.S. election and the campaign of Democratic presidential candidate Hillary Clinton, said Senator Mark Warner, a Virginia Democrat. "This Russian propaganda on steroids was designed to poison the national conversation in America," Warner said Thursday during a Senate hearing on Russian election hacking. The Russian government used "thousands of paid internet trolls" and bots to spread disinformation on social media. The groups spreading disinformation appeared to target specific swing states in the weeks leading up to the U.S. election, Warner said. He questioned whether Russian operatives would have that level of U.S. elections expertise without outside help. Most members of the Senate Intelligence Committee expressed little doubt that Russia tried to influence the U.S. presidential election through hacking and the spread of disinformation. Senators from both parties promised to investigate alleged ties between President Donald Trump's campaign and the Russian disinformation and hacking efforts. Warner addressed repeated suggestions by Trump that Russian interference in the election is "fake news." "This is not innuendo or false allegations," Warner said. "This is not fake news, this is actually what happened to us." Clinton wasn't the only presidential candidate targeted by Russia, said Clint Watts, senior fellow at the Foreign Policy Research Institute Program on National Security. Senator Marco Rubio, a Florida Republican, appears to have been targeted during the Republican primary because of his tough stance on Russia, Watts said. Rubio, a member of the Intelligence Committee, confirmed during the hearing that his campaign staffers were targeted last July, after he dropped out of the presidential race, by a hacker using a Russia IP address. Former members of his presidential campaign staff were again targeted on Tuesday by an attempted hack coming from Russia, he said. On Thursday, Russian President Vladimir Putin again denied the allegations that Russia targeted the U.S. election. The allegations are "fictional, illusory and provocations, lies," Putin said during the annual Arctic Forum in Arkhangelsk, Russia. Witnesses told senators that Russia has been waging disinformation campaigns in the West for decades. The purpose of the recent Russian disinformation campaign is to stir up unrest in Western democracies, to shake their citizens' faith in their governments and traditional media, and ultimately, to break up NATO and the European Union, said Eugene Rumer, director of the Russia and Eurasia Program at the Carnegie Endowment for International Peace. The Russian disinformation and hacking campaigns were "not a crisis, not something that will pass soon," Rumer added. "It is the new normal. We will see Russia relying on this toolkit in the months and years to come." 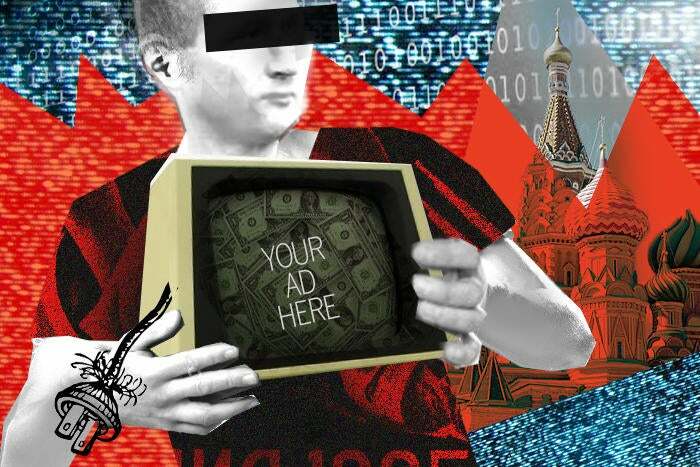 While Russian disinformation campaigns are nothing new, Russian hackers seemed to change their tactics in mid-2014, said Kevin Mandia, CEO of cybersecurity company FireEye. Instead of covering their tracks, they continued their hacking campaigns even after being identified by security researchers, he said. The Russian hackers also began "operating at a scale and scope where you could easily detect them," Mandia added. During the U.S. election, Russia operatives "left behind more clues and more traces than ever before," added Thomas Rid, a professor in the Department of War Studies at King's College London. The Russian disinformation campaign goes even beyond elections, Watts said. An April 2014 petition on the U.S. White House website demanded the country give Alaska back to Russia. The petition generated 39,000 signatures in a short time, with many signatures appearing to come from bots used to push Russian propaganda months earlier, Watts said. Soviet-era disinformation tactics "have been reborn and updated for the modern Russian regime in the digital age," he said.